Quality educators result in quality students. Mr. Klipper is the director of music at Kesling Middle School. He is a Butler University alumni with a degree in music education, and his primary instrument is the clarinet. “At Kesling, we have 6th, 7th, and 8th grade Band, as well as Exploratory Music. I also teach Jazz Band in the mornings starting in October,” Klipper said. Klipper is active within the school community’s arts programs, aiding in ensembles stemming from multiple departments and schools. “I teach the LPMB with the incomparable Mr. Stisher, Mr. Sullivan, and Mrs. Sullivan. I teach the KMS Jazz Band four mornings a week, and I organize the KMS Variety Show every year,” Klipper said. Klipper’s curriculum encompasses many basic and fundamental ideas necessary to become a successful musician. “Since we see students every other day, a good deal of time just needs to be spent on reviewing basic concepts like dynamics or articulations. At the very least, I try to incorporate the idea of listening and matching pitch, as well as learning the importance of learning their major scales,” Klipper said. Klipper is an experienced teacher and has had success at a few other schools before coming to La Porte. “I student taught at Brownsburg Middle School East and North Central High School in Indianapolis. Before coming to Kesling, I taught at Mater Dei High School in Evansville for two years,” Klipper said. The most important factor of any career is being able to enjoy what one does, as Klipper understands. “Teaching 6th graders is a hoot because they’re all very new and very excited to play with their new toy. I always love the moment when I first give them their instrument and some say ‘You mean I get to take it home?’ So a lot of my job is taking that initial excitement and trying to keep it going,” Klipper said. Both inside and outside of the classroom, Klipper enjoys creating and using music to connect with others. “I like the community aspect of it. Music is very rarely made by just one person by themselves, so it forces you to work with other people. Most students will go on to do other stuff besides music, but the tools they are taught within the music classroom can be used in so many different ways,” Klipper said. Klipper received much of his inspiration from his directors and wishes to share that passion with his students. “[My inspiration was] my high school band director, Greg Bimm. Being part of high school band fundamentally changed who I was for the better. When I decided to become a teacher, it was to give to students that same opportunity I had,” Klipper said. The benefits of pursuing music in school are widely studied and are supported by copious amount of research. This is something that Klipper also is a big proponent of. “Music is an activity that can use both the analytical (reading rhythms) and creative (developing phrases) sides of your brain. Using both these sides not only benefits students but is, in fact, crucial to becoming well-rounded adults,” Klipper said. 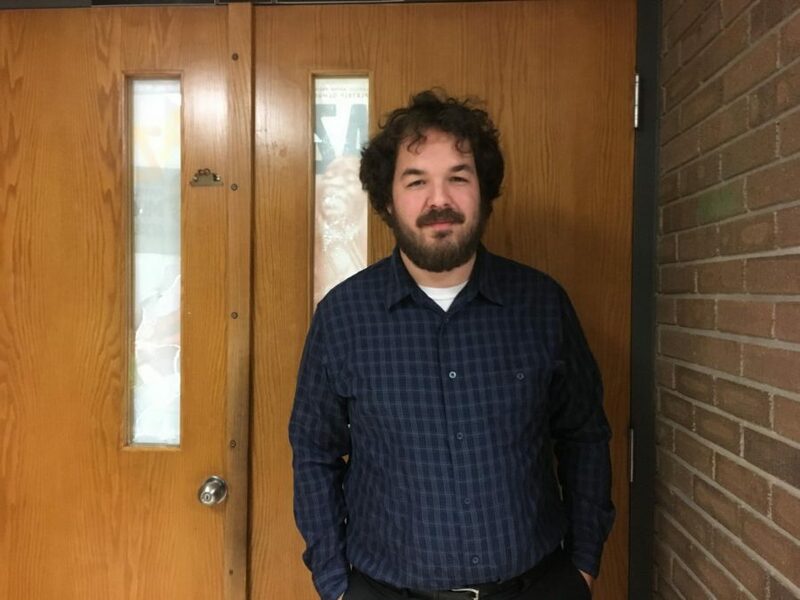 Klipper continues to be an influential and successful educator who produces well rounded young musicians, many of which become remain musicians at the high school level and beyond.